Christmas Street Light Brushes Pack - Free Photoshop Brushes at Brusheezy! Light up your holidays with this new Christmas Street Light Brushes Pack! You'll feel as though you're walking down an old European street with these decorated street light brushes. Included in this pack are seven different beautiful vintage style street light brushes decorated with Christmas wreaths, holly, and red banners. 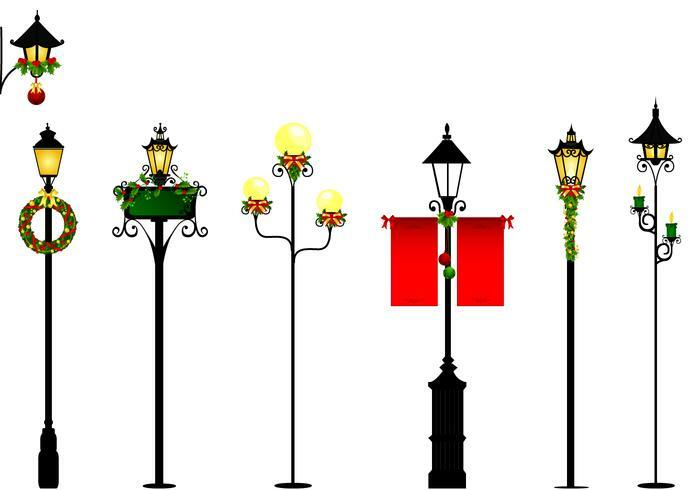 Head over to Vecteezy for the vector pack and download the <a href="http://www.vecteezy.com/holiday-seasonal/53976-christmas-street-light-vector-pack/premium">Christmas Street Light Vector Pack</a>!